Forbes’ 2016 top cities to invest in is out and seven of the best investment cities are in Florida. Two, West Palm Beach and Fort Lauderdale, are in South Florida. The Fort Lauderdale Metropolitan Statistical Area and Divisions (MSAD), which includes Fort Lauderdale, Pompano Beach and Deerfield Beach, has a three-year home price growth forecast of 20%. West Palm Beach’s MSAD, encompassing West Palm Beach, Boca Raton and Boynton Beach, has a three-year home price growth projection of 23%. Based on Florida’s employment recovery and the overall improvement in the national economy, Florida dominates the housing investment list for 2016. Those are the “scientific” reasons given. In my opinion the weather, water, cultural diversity and favorable tax climate are also contribute to Florida being a great place to live and invest! 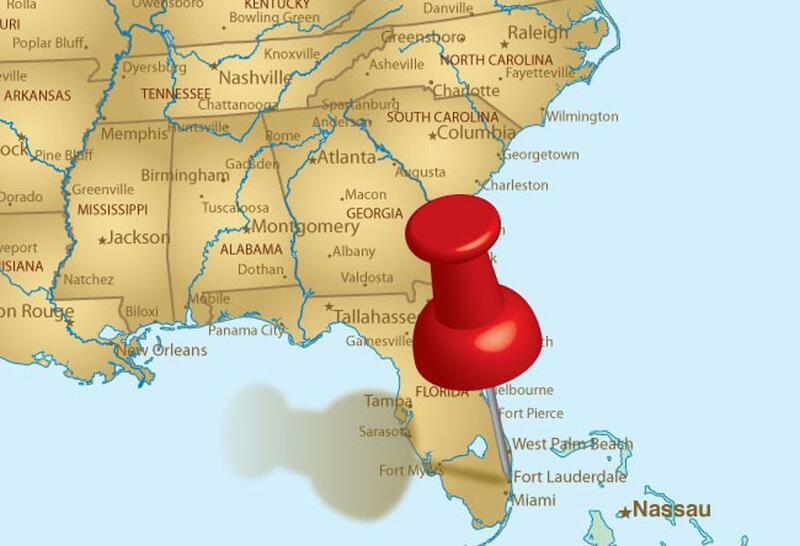 Thanks for finally talking about >7 Of Forbes’ Top 20 Cities to Invest In Are In Florida | ILoveSoFla.com <Liked it! site is really good and the users are actually sharing pleasant thoughts. Hello mates, how is all, and what you wish for to say concerning this post, in my view its genuinely awesome for me. for starting this up. This site is one thing that’s needed on the web, someone with a little originality! page and now this time I am visiting this web page and reading very informative content at this place. or reviews, but this weblog presents feature based content. subject. Well along with your permission let me to clutch your feed to stay up to date with impending post. excellent content material as you did, the internet will likely be a lot more helpful than ever before. home a bit, however instead of that, this is great blog. but I thought this publish was once good. I do not know who you might be but definitely you’re going to a famous blogger if you are not already. your story. It’s surprising you aren’t more popular because you certainly possess the gift. I have read stuff from. Thank you for posting when you’ve got the opportunity, Guess I will just book mark this site. I go to see daily some web sites and blogs to read articles or reviews, but this webpage presents feature based content. same time as you amend your web site, how can i subscribe for a weblog website? I surprise how much attempt you put to create the sort of fantastic informative website. I’d should check with you here. Which is not one thing I usually do! I take pleasure in studying a post that can make folks think. Additionally, thanks for allowing me to remark! to…HaHa). You certainly put a brand new spin on a subject that’s been written about for many years. that I actually will need to…HaHa). You certainly put a fresh spin on a topic that’s been written about for ages. part of people will leave out your magnificent writing because of this problem. Hi there to all, how is the whole thing, I think every one is getting more from this website, and your views are fastidious for new users. consists of lots of helpful information, thanks for providing these kinds of information. Pretty great post. I just stumbled upon your blog and wished to say that I have really enjoyed browsing your weblog posts. In any case I will be subscribing in your rss feed and I’m hoping you write once more very soon! a formidable job and our whole group will be thankful to you. what I was taking a look for. You have ended my 4 day long hunt! factor to be aware of. I say to you, I certainly get annoyed whilst other folks consider issues that they just don’t recognise about. You managed to hit the nail upon the highest and defined out the entire thing without having side effect , other people can take a signal. my permission. Do you know any techniques to help reduce content from being stolen? I’d definitely appreciate it. Hi, this weekend is pleasant for me, since this time i am reading this great educational paragraph here at my home. thus I simply use internet for that purpose, and take the hottest information. to present one thing again and aid others like you aided me. on. You’ve done an impressive task and our whole group will likely be thankful to you. Hello, all is going perfectly here and ofcourse every one is sharing information, that’s truly good, keep up writing. Wonderful post but I was wondering if you could write a litte more on this topic? I’d be very grateful if you could elaborate a little bit more. Thanks! I’m gone to tell my little brother, that he should also pay a visit this website on regular basis to take updated from most recent gossip. Thanks a bunch for sharing this with all folks you really understand what you’re speaking approximately! Bookmarked. Please additionally talk over with my site =). We could have a link alternate contract among us! Appreciating the commitment you put into your blog and detailed information you offer. It’s awesome to come across a blog every once in a while that isn’t the same outdated rehashed material. Fantastic read! I’ve saved your site and I’m adding your RSS feeds to my Google account. out much. I hope to give one thing again and aid others like you helped me. it and also included your RSS feeds, so when I have time I will be back to read much more, Please do keep up the great work. Thanks a lot for giving everyone an extremely brilliant opportunity to read critical reviews from here. It’s always so cool and jam-packed with a lot of fun for me personally and my office peers to visit your blog at minimum 3 times a week to learn the latest tips you have got. Not to mention, I am at all times motivated concerning the impressive opinions you serve. Certain 3 tips in this article are ultimately the most impressive we have all had. Does your site have a contact page? I’m having trouble locating it but, I’d like to send you an e-mail. I’ve got some recommendations for your blog you might be interested in hearing. Either way, great blog and I look forward to seeing it improve over time. I am sure this post has touched all the internet people, its really really good post on building up new webpage. May I just say what a comfort to discover an individual who actually understands what they are discussing online. will need to…HaHa). You certainly put a new spin on a subject which has been written about for ages. Hi there Dear, are you really visiting this site on a regular basis, if so then you will definitely get pleasant knowledge. recognize such precise approximately my trouble. I extremely enjoyed the standard information a person supply in your guests? The time to study or visit the subject material or internet sites we have linked to below. This publish truly made my day. You cann’t believe simply how a lot time I had spent for this information! Thanks! That would be the end of this report. Right here youll come across some web sites that we assume you will appreciate, just click the links. on a regular basis, if so afterward you will definitely take nice experience. Wow! At last I got a weblog from where I be capable of really take helpful data concerning my study and knowledge. and I am impressed! Very useful information specially the last part 🙂 I care for such info a lot. includes lots of valuable information, thanks for providing these kinds of statistics. me to pay a quick visit this web page, it includes useful Information.